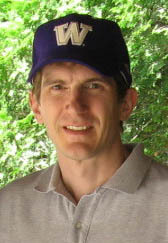 I am a pre-doctorate student in Computational linguistics at the University of Washington in Seattle. My research interest is in building a computatational-analytical grammar of the Thai language, and my adviser is Prof. Emily Bender. I am the author of agree, a concurrent parser/generator for the DELPH-IN joint reference formalism on the .NET platform. A grammar is a model of a natural language which maps structure (synatx) to meaning (semantics). The models I am interested in are influenced by the Head-Driven Phrase Structure (HPSG) school as applied throughout the DELPH-IN research community. Our models are analytical (as opposed to statistical) because they consist of precisely authored constraints, and our models are computational because, after taking care that the models remain tractable, we implement them in computer software, experimentally testing and refining linguistic hypotheses. In 1997, I launched thai-language.com, an English-language educational resource for the Thai language which has become popular. Since then, the site has expanded to include message forums, a 50,000 word lexicon, reference pages, lessons, and more. I continue to develop new content and features for the site, assisted by a couple of volunteers worldwide. In the summer of 2009, as a contract developer at Microsoft Research, I completed integration tasks for enabling Thai language translation in the Microsoft Bing Translator. My paper describing this work was published at the Workshop on South and Southeast Asian Natural Language Processing at COLING 2010. I am also a jazz pianist. After graduating from Cornish College of the Arts in 2000, I worked professionaly as the leader of small combos, performing on over 400 nights at the Alexis and Sorrento Hotels in Seattle. I've studied music in Brazil and Cuba. I hold a B.S.Econ from the Wharton School at the University of Pennsylvania. At the top of this page is a photograph I took at the moment in 1996 when all of Thailand paused to celebrate the 50th Anniversary of the coronation of King Bhumibol Adulyadej.